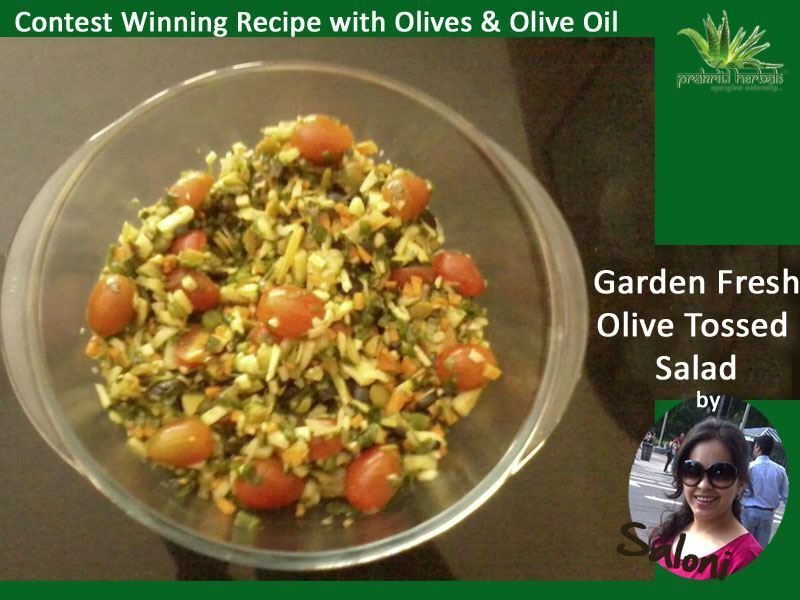 CONTEST WINNING RECIPE WITH OLIVES AND OLIVE OIL !! In a medium bowl combine olives, carrot, sweet onion, cucumber, zucchini, cherry tomatoes, parsley and chives(or spring onions). Add lemon peel, lemon juice and extra virgin olive oil to bowl; mix well. Season to taste with salt and pepper. These Mediterrenean tree-plucked fruits have been used from the days of the Egyptians.They are high in heart-healthy monosaturated fats that shrink the risk of atherosclerosis. Add olives & olive oil to your diet to help maintain a healthy heart & lovely skin as they contain vitamins, antioxidants & omega 3 fatty acids. Olives Help reduce harmful cholesterol levels as well. 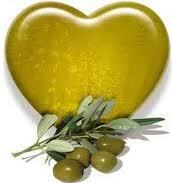 Studies have shown that consumption of olives ensures healthy heart benefits such as reduced harmful cholesterol level. It also has anti-inflammatory, antihypertensive, antithrombotic as well as vasodilatory effects in humans and animals. Olive Oil reduces acne breakouts and opens clogged pores.Olive oil contains natural anti-oxidants and vitamins and acts as an anti-inflammatory agent. Secondly, olive oil also acts as a moisturizer, so it prevents the dry flaking that leads to acne breakouts.Thirdly, and perhaps the most important fact of all is that olive oil doesn’t clog pores and in fact dissolves the impurities inside closed pores. Hence when you cleanse your face with olive oil , it won’t leave behind residue that will clog pores and lead to acne breakouts. Olives are very high in iron content which reduce anaemia and help boost up the immune system as well as anaemia can cause severe hair loss as well.Olive oil combats dandruff which is usually caused by a flaky dry scalp by infusing moisture&preventing flaking. So do your heart ,skin &hair a big favour…….Use olive oil instead of butter,margarine or regular oils while cooking &even as a daily snack. 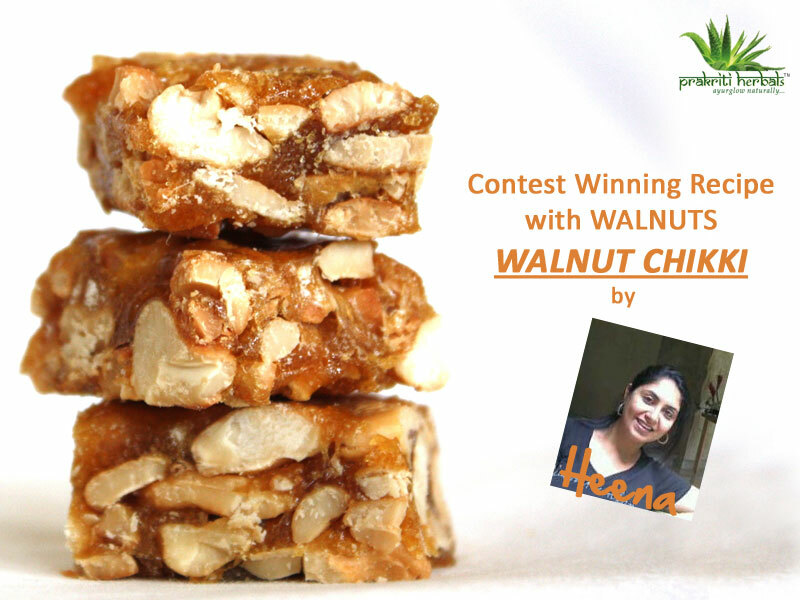 Contest winners of our Healthy Walnut Recipe Contest!!! 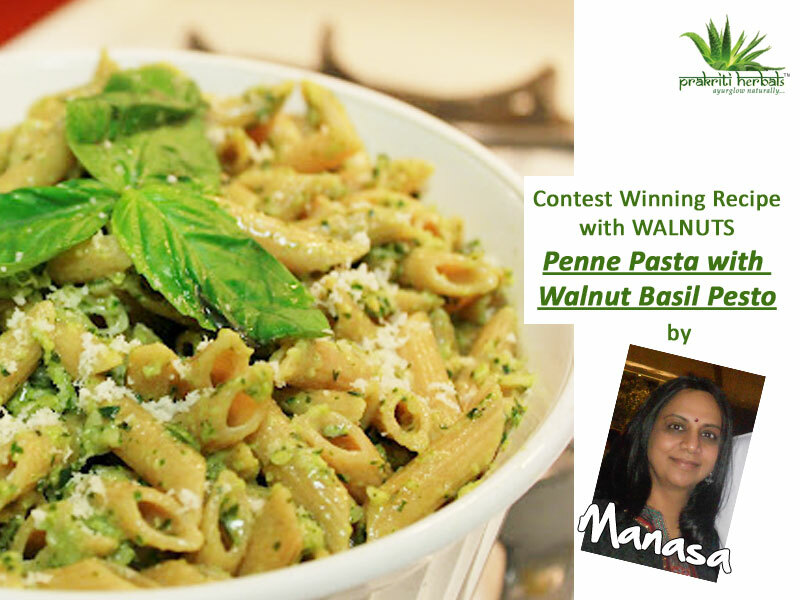 Ingredients: 1 lb Pasta boiled as per directions and drained; big Bunch of basil leaves; 1/2 cup walnuts slightly roasted; 1/2 cup shredded mozarella cheese;Olive oil approx 1/4 cup; Salt&Pepper to taste. Walnuts are an excellent source of vitamin E &omega 3 fatty acids ,thus helping to keep the skin &hair protected from dryness&reducing hair fall.Walnuts are also very high in iron content which reduce anaemia and help boost up the immune system as well.They reduce anaemia which is also very often responsible for hairfall. Walnuts slowdown the ageing process as they are rich in compounds including vitamin E, Omega 3 fatty acids,ellagic acid, flavonoids, and melatonin, all of which have antioxidant properties-hence walnuts reduce wrinkles and fine lines.Walnuts have also been proven to reduce the onset &progression of age related diseases like Alzheimer’s! !It has been found that Walnuts when eaten along with meals high in saturated fat limit the ability of the harmful fat to damage arteries. Do your heart &skin a big favour…….Use olive oil instead of butter,margarine or regular oils while cooking &even as a daily snack. These Mediterrenean tree-plucked fruits have been used from the days of the Egyptians.They are high in heart-healthy monosaturated fats that shrink the risk of atherosclerosis.Add olives&olive oil to your diet to help maintain a healthy heart&lovely skin as they contain vitamins,antioxidants&omega 3 fatty acids. Add them to your diet : Add olives to salads,dresings,dips, pizzas or simply pop them in your mouth as a delicious snack. Additionally, use extra virgin olive oil as a cooking medium as it has been proven that food cooked in olive oil absorbs less oil&has fewer calories. Free harmful radicals oxidize cholesterol in our blood vessels, this eventually results into the formation of fats in the arteries leading to a heart attack or stroke. Presence of antioxidant nutrients in olives prevent this oxidation of cholesterol, and reduce the chances of severe heart disease. As per experts, consumption of olives in your diet helps to maintain healthy heart as olives are zero cholesterol&contain high amount of healthy monounsaturated fat that act as a helping hand to shrink the risk of atherosclerosis. Olives are rich in vitamin E that acts against free radicals,thus helping to prevent cancer and reduces the growth of carcinogenic cells. 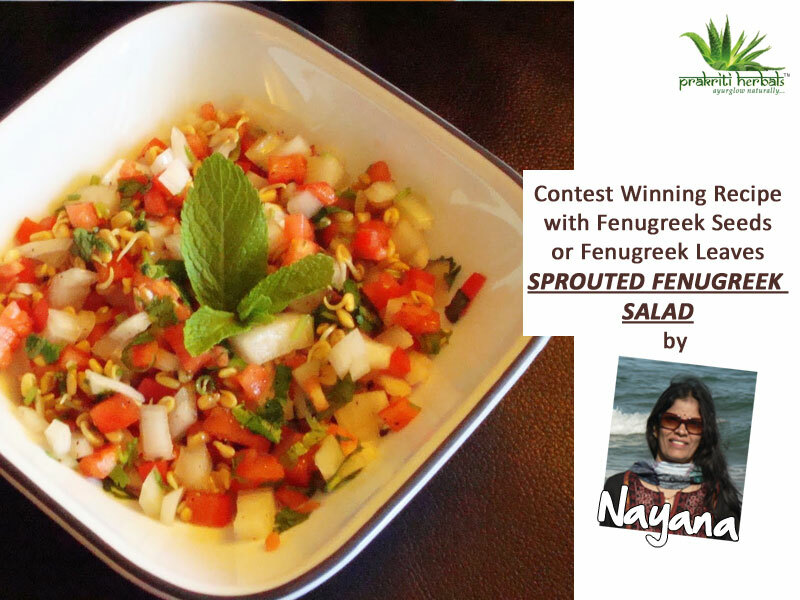 As per research, olive is referred as one of the most popular vegetables to prevent cancer. Olives are rich in antioxidants and fatty acids that hydrate, protect and nourish your skin. Olive also contains high concentrations of vitamin E&Omega 3 that helps in providing natural skin glow. As per various research, consumption of vitamin E helps to protect skin from the sun’s harmful ultraviolet radiation, thus forming a shield against premature aging and skin cancer. Massaging daily with a few drops of olive oil will give you a glowing and healthy skin complexion.Any wonder that olive oil is traditionally used for babies as a massage oil &trusted by mothers worldwide!! The anti oxidant properties of olive oil along with vitamin E aids good hair growth and ensures soft&smooth hair,if applied regularly.Weekly massage with warm olive oil reduces dandruff. The monounsaturated fats, polyphenols and vitamin C in olives helps to neutralize the free radicals thus reducing inflammation. Use a mixture of castor oil & olive oil to massage &deep cleanse your face.Then use warm water or a washcloth dipped in warm water to wipe it off. Olive oil( extra virgin) has been proven to be good for acne-prone skin. Firstly, olive oil contains natural anti-oxidants and vitamins and acts as an anti-inflammatory agent. Secondly, olive oil also acts as a moisturizer, so it prevents the dry flaking that leads to acne breakouts. Third, and perhaps the most important fact is that olive oil doesn’t clog pores and in fact dissolves the impurities inside closed pores. Hence when you cleanse your face with olive oil , it won’t leave behind residue that will clog pores and lead to acne breakouts. Oily Skin: Try a blend of 30% Castor Oil to 70% Olive Oil. Balanced Skin: Try a blend of 20% Castor Oil to 80% Olive Oil. Dry Skin: Try a blend of 10% Castor Oil to 90% Olive Oil. Food rich in omega 3 fatty acids like olives,reduce the risk of Alzheimer’s disease -research reported by Dr Gary Small,Longevity centre,Los Angeles.Scientists have also found that extra virgin olive oil contains a biologically active substance oleocanthal ,which changes the structure of the neurotoxic proteins which contribute to Alzheimer’s disease. Olives are easily digested by our stomach and prevents constipation. It also helps to protect the stomach from gastritis and ulcers.Olive oil increases the secretion of pancreatic hormones and bile thus ensuring healthy digestive track and reduces the chance of gallstone formation. Olives are zero cholesterol&hence good for the heart. Studies have shown that consumption of olives reduces harmful LDL cholesterol level,and have an anti-inflammatory, antihypertensive, antithrombotic as well as vasodilatory effects in humans and animals.Foods cooked in olive oil absorb less oil,taste better&have lesser calories.So you can enjoy your food,without guilt!! Olives are very high in iron content. This iron content helps in the formation of red blood cell which acts as an oxygen carrier &helps to boost up the immune system as well. 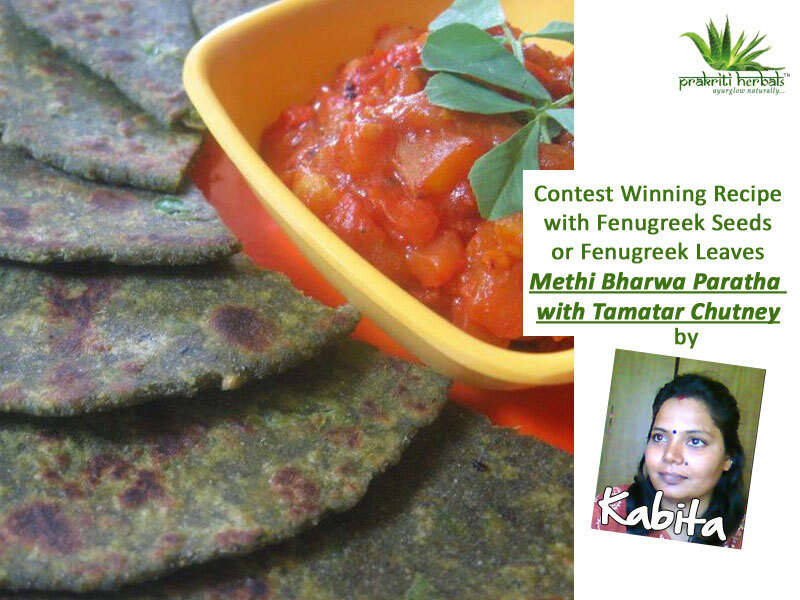 Regular consumption of a tablespoonful of extravirgin olive oil or olives daily has been found to increase longevity,improve memory,retard effects of ageing&reduce the risk of heart attacks,skin cancer&Alzheimer’s disease.Do ensure that you use extra virgin oil &olives in your diet for optimum benefits .Let’s make the most of these natural , ready to eat culinary delights-a gift from nature….!! Have you ever wondered why the women of yore had much better hair and skin than we do today? ?Did you ever hear of our elders using or needing chemical hair conditioners,sunscreens,astringents,toners,peel off masks,anti aging creams or worrying about acne,falling hair,dandruff,frizz and premature greying?? ?Not likely at all!!! Well,it’s time we shared their secret with you…..They actually had a secret valuable friend to help them out;)Guess who!!! !…She was none other than Mother Nature-“Prakriti“…..Truly Nature has proven herself not only to be an ace cosmeticologist,but also a healing doctor and an expert chemist . From the ancient times,natural ingredients in plants that were used for skin and hair care had amazing curative,protective and preventive properties and being natural were harmfree and totally free of any side effects.The ancient natural skin and haircare recipes which are integral parts of our Indian herbal heritage have been handed down for generations &have truly stood the test of time . Applying turmeric to a young bride-to-be is an essential part of traditional Indian weddings even today,and has its roots in the natural beautifying and antiseptic properties of Turmeric.There are countless myriad examples of natural cleansers like lemon and shikakai,moisturisers like aloevera,astringents like lemon,humectants like honey,sunscreens like sandalwood and aloevera,haircolourants like henna,nourishers like almond,jojoba and wheatgerm oil,exfoliators like papaya and walnut,and antiseptics like neem and tulsi……and these are just a few of the countless gifts of nature available to us. Products created from natural ingredients available at home have essential vitamins, minerals, nutrients and healing properties that work with your body to heal and protect the skin naturally.………So why look elsewhere when we can make simple beauty remedies from ingredients found in our kitchen or home gardens ?? Use simple at home recipes with fresh ingredients . Use clean equipment and containers. Make small batches of the product that you would use each day. Do a patch test before trying out any home made beauty recipes to avoid any side effects.